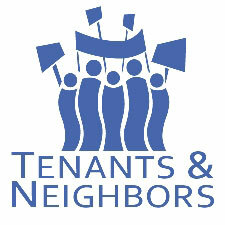 MVUT is a member of Tenants and Neighbors, a statewide grassroots organization that harnesses tenant power to preserve at-risk affordable housing and strengthen tenants' rights in New York. The Real Rent Reform Campaign (R3) is a coalition of tenant, community and labor groups fighting to pass progressive legislation to protect tenants and preserve affordable housing. Normally our general membership meetings are held on the first Tuesday of each month. However, the first Tuesday in November is Election Day, and we do not want our meeting in any way to impact upon people’s ability to vote in the election, so we will be meeting the night before — Monday, November 5. Make sure you, your family, friends and neighbors exercise your franchise — VOTE! For more information, and a summary of recent activities, see the attached meeting announcement. Mount Vernon United Tenants holds monthly membership meetings. usually on the first Tuesday of each month at 7:00 PM. at our office at 2 Gramatan Avenue, Room 312 in Mt. Vernon, to share information and plan future activities. To get on our mailing list and get more information about upcoming meetings, events and actions, click here or call (914) 699-1114.